The beautiful blue blooms of the Vitex tree are swaying in our summer breezes. 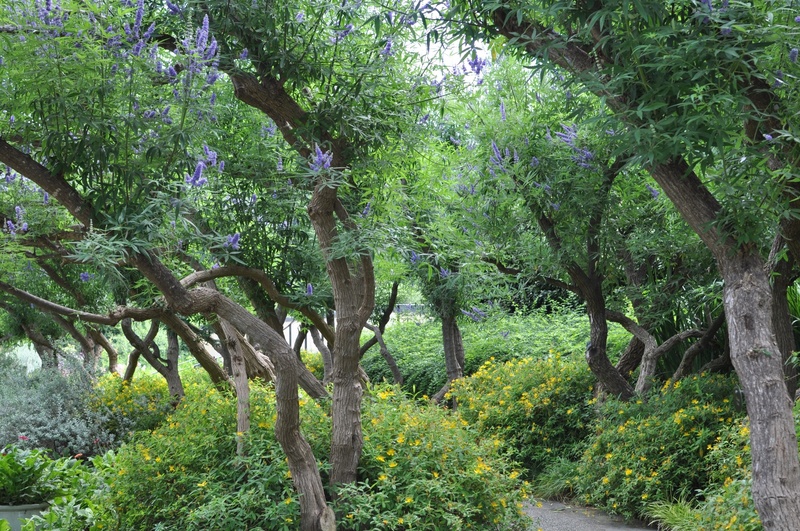 Yesterday I visited the Dallas Arboretum and took a walk under a lane of fragrant Vitex aka Chaste Tree located at the back of the garden along the shores of White Rock Lake. The snarly branches of blue blooming Vitex with the yellow St John’s Wort planted at its feet almost made me swoon! 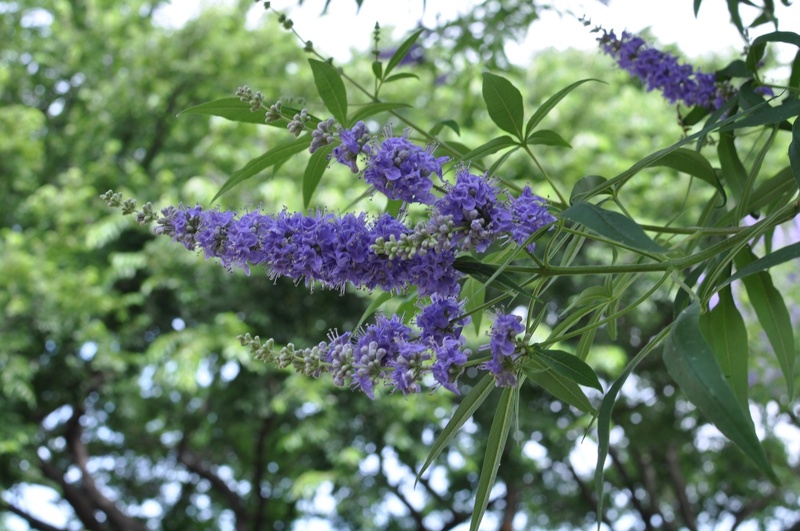 Once established, Vitex is a drought tolerant tree and delight to bees, butterflies, and hummingbirds. Shear it back after every bloom cycle to keep up the maximum flowering production By doing this, you can get three bloom periods every summer. Texas A&M agrees! It will also need a good shaping in winter months. Some gardeners cut it to the ground every year to keep it shrub size. At our garden we have let it grow into a 15 foot tree. Posted in Summer and tagged Dallas Arboretum, tolerant tree, Vitex Tree. Bookmark the permalink.